You don’t want to be that local who has never experienced their city’s most famous tourist attraction, but let’s face it, the Space Needle is expensive (tickets are $14–$22, with kids 4 and younger free), and little kids may be more interested in looking at stuffies in the gift shop anyway. So what to do when a bucket-list item costs the proverbial arm and leg? Here’s how to get more value from your pricey elevator ride. A museum twofer: Buy a combined ticket to Chihuly Garden and Glass and the Needle ($36 adult/$22 youth), which saves $8 per adult and $6 per child. 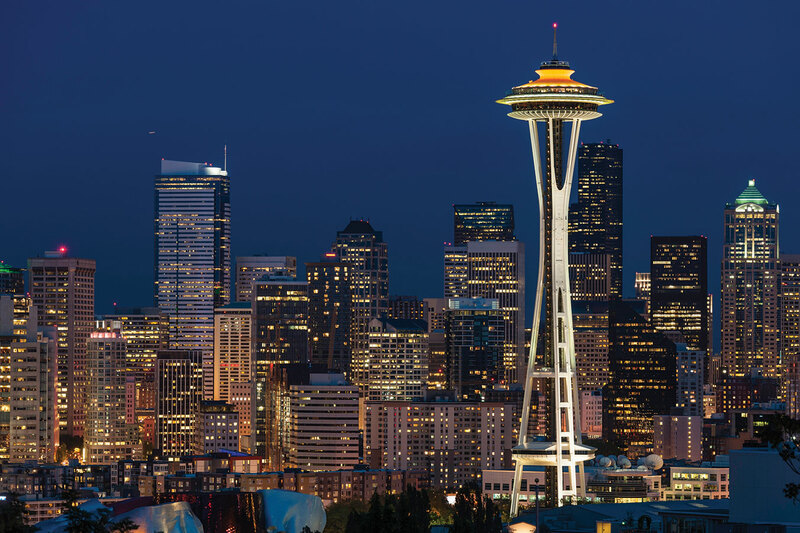 You get access to the Space Needle observation deck at a specific “launch time” and to the Chihuly exhibition hall, garden and glasshouse at any time during the same day. Double stuff: For much less than double the price of single admission ($32 adult/$24 youth), you can visit the Space Needle twice in 24 hours. Pick a launch time in the day and come back at night for a starry view of the city. Buy online. SkyCity Restaurant: What’s cooler than a rotating restaurant? A meal at SkyCity includes a ticket to the observation deck and offers the same views in a quieter, less crowded environment (and little kids can see out the windows more easily than over the observation deck railing). At about $15 per plate, the kids’ menu (12 and younger) is the same for lunch and dinner, but lunch is much more affordable for adults. Weekend brunch is another option. Pro tips: Knowing a few things in advance will make your Space Needle trip easier and less stressful. To avoid long waits and limited availability, buy your tickets online in advance. You’ll get a timed ticket that’s good for the “launch time” and date listed. Arrive up to 30 minutes in advance. Leave strollers on the ground, but you can carry an infant in a car seat. All ticket prices include a free SpaceSpots photography digital download. Skip the Needle and try one of these. Kerry Park: Less than a mile from Seattle Center, perched on Queen Anne Hill, Kerry Park offers a stunning view of downtown and Puget Sound — and while it’s not 360 degrees, it is free. Sky View Observatory: It doesn’t have the historical cachet of the Space Needle, but in downtown Seattle, Columbia Tower’s Sky View Observatory is the tallest 360-degree public viewing area west of the Mississippi (902 feet to the Needle’s 520), and it’s cheaper ($14.75 adult/$9 youth). Virtual Needle: Download one of two free Space Needle apps), which offer a variety of virtual experiences, such as flying over the city and around the Needle in a seaplane.